The death toll has previously stood at 80 with the vast majority of deaths were due to the Camp Fire in Northern California's Butte County, according to the ABC News broadcaster. The number of people missing in the county stood at 870 on Tuesday evening, a drop from 1,202 on 18 November, the broadcaster said. Yesterday, President Trump traveled to California to survey damage from the terrible wildfires, thank first responders, and meet with local and state leaders. ​The Camp Fire, which erupted on 8 November, is considered to be the deadliest wildland fire in California's history. 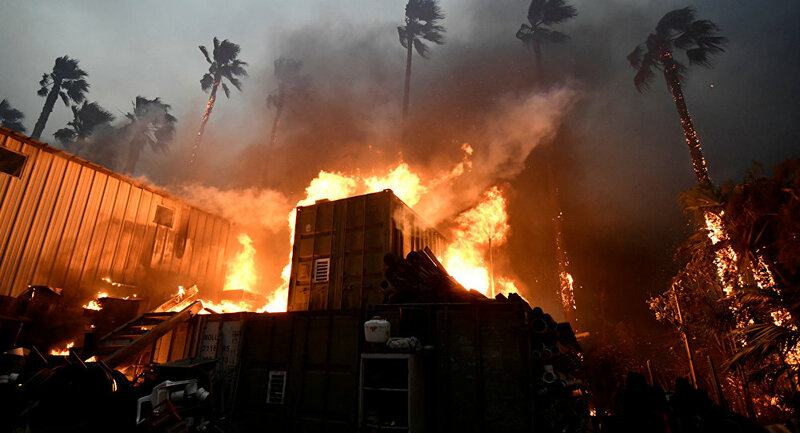 The risk modelling and analytics firm RMS stated earlier that the insured property and auto losses from wildfires in the US state of California will amount to up to 13 billion dollars. Picture of exhausted fire fighters who are working around the clock to put out the wild fires in california.